Yes. 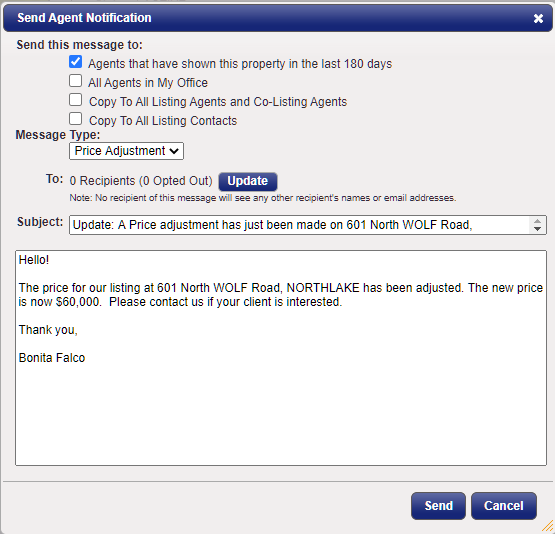 You can send a price change notification or another type of message from the Listing Activity Report. 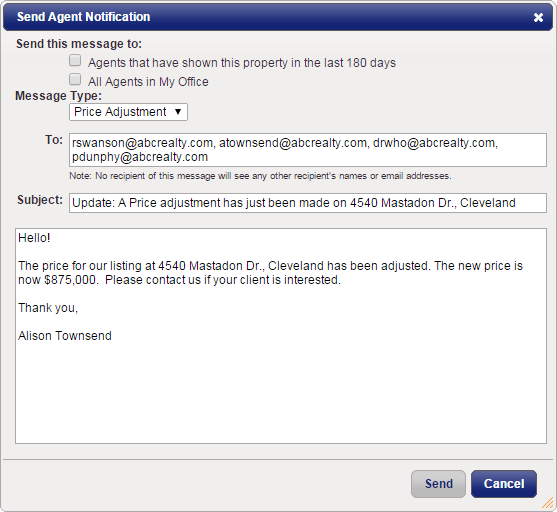 Click on the Send Notification action button located on the left side of the Listing Activity Report. 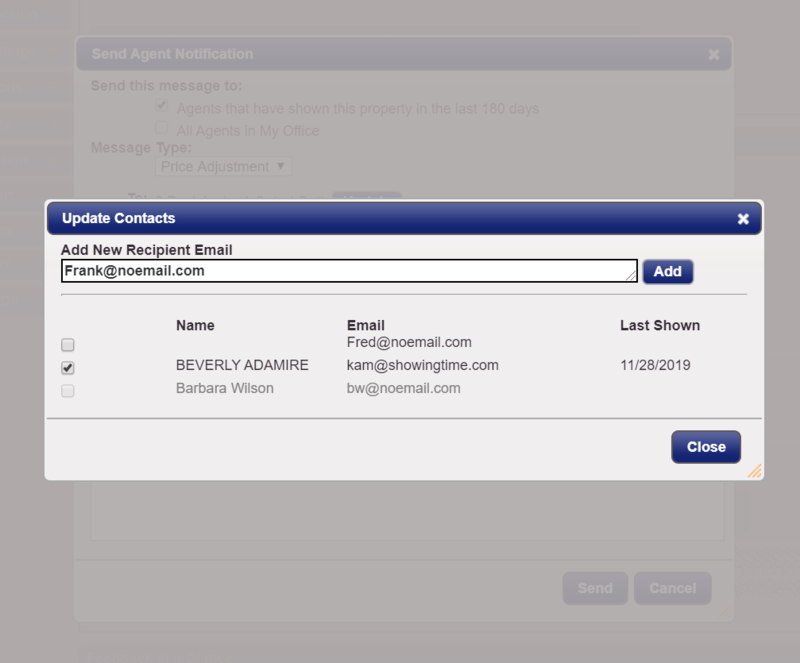 Or you can manually add email addresses in the To: field. Choose the Message Type that this email is being prepared for. Adjust the subject and message if needed. When you're ready to send the email go ahead an click the Send button.